This program gives you the absolute best training experience and a lifetime of your dog listening reliably – truly giving you all the freedom you want to enjoy your dog anywhere. You’ll be able to take your dog with you to go anywhere and do everything if you’d like… sidewalk cafes, farmers markets, visiting friends, camping… even work! …They’re with us for such a short time, with a ‘Dream Dog’ you can make every moment count. This program includes more time with your trainer, including out on trails and in public, to make sure your dog listens to you in any situation. We’ll make sure they come when you all, sit and stay every time you ask – and we’ll also make sure all those unwanted behaviors are taken care of… no more jumping, excessive barking, chewing or stealing things from the counters! You also get unlimited support with this program, making sure everything you need for your dog’s behavior is covered, for your dog’s life. 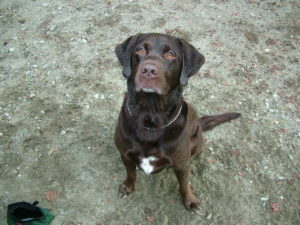 – 12 PRIVATE LESSONS – (4 at your home / 4 at Off-Leash Trails / 4 Custom out in public). – Two additional days of training at our place to polish up your dog’s skills! – Unlimited commands (and Lessons) at your home. – Lifetime Support: Q&A – When you don’t know, and need to ask a trusted professional. – Preferred Client Discount on Exclusive Boarding and Daycare. – Unlimited access to our ‘Pack Walks’, – brush-up skills, ask questions, socialize.